First Week of BlogX: Complete! 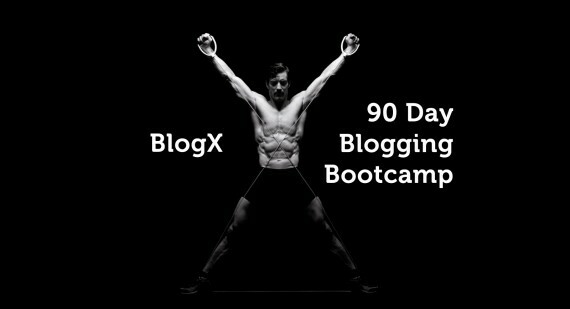 I have begun a 90 day series of "blogging workouts" if you will, thanks to John Saddington over at Tentblogger in his forums. If you are interested at all in blogging you should really check this out. You have to pay a little to get access to the workouts, but they are totally worth it! You get access to all the amazing information and community to be found there! So what is a blogging workout you ask? Well basically it's focused time to really spend on your blog and practice those writing muscles. Each day should take roughly an hour and has everything from checking your analytics in a beneficial way, to how quickly you should draft a post, to how to curate static content, like I did with my About page. Each day is a little different, but by the end of these 90 days, I will hopefully have adapted some helpful mindsets and habits to continue to become a better blogger. One of the most beneficial things I've learned so far is probably the simplest: timing myself. Since I'm supposed to complete each task in a certain amount of time, I'm really focused and driven to do so. It's not always easy, but what I've been able to do with only giving an hour a day has been phenomenal! Again, you really need to check this program out. I'm sure you could start a week late, and just continue to work your way through it. You will probably blog more than you ever have, but it will be worth the effort. Already I've seen an increase in traffic, comments, and interaction simply because I've been disciplined. And you have lots of people in the forums to cheer you on, encourage you and show you where you can improve. Again, if you blog, you really need to check this out. It will change how you approach the craft!